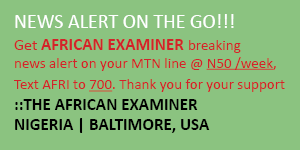 BALTIMORE, MD (AFRICAN EXAMINER) – The Nigerian Communications Commission (NCC) says it has extended to Friday the deadline given to MTN to pay a N1.04 Trillion fine slammed on the company following its failure to deactivate 5.2 million unregistered SIM cards on its network. Mr. Tony Ojobo, NCC’s Director of Public Affairs in a statement issued on Monday explained that the fine was eventually imposed on MTN following its refusal to compile with NCC several directives on the said violations. His words: “The fine was a result of violation of Section 20(1) of the Registration of Telephone Subscribers Regulation of 2011. He further added that “Consequent upon the overwhelming evidence of non-compliance, and obvious disregard to the rule of engagement by MTN, the NCC had no choice but to impose the sanctions. 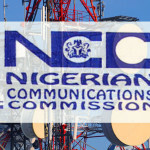 “On August 4, 2015, at a meeting of all the representatives of the Mobile Network Operators (MNO) with NCC, major security challenges through preregistered, unregistered and improperly registered SIM Cards topped the agenda after which Operators were given the ultimatum to deactivate such within seven days. “On August 14, 2015, three days after the ultimatum expired, NCC carried out a network audit, while other Operators complied with the directive, to deactivate the improperly registered SIM Cards, MTN showed no sign of compliance at all. 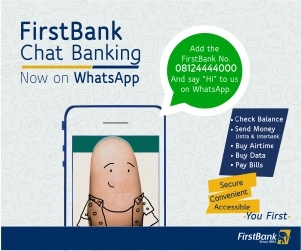 “Four (4) Operators; MTN, Airtel, Globacom and Etisalat, were sanctioned in August for non compliance of the directive to deactivate the improperly registered SIM Cards. 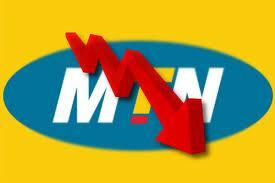 MTN got a fine of N102.2million, Globacom N7.4million, Etisalat N7million and Airtel N3.8Million fine. Others complied while MTN flouted the fine. 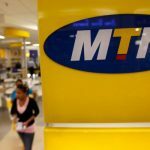 “Based on the report of the compliance Audit Team, an Enforcement Team, which visited MTN from September 2 – 4, 2015 wherein MTN admitted that the Team confirmed that 5.2million improperly registered SIM Cards were still left active on their network; hence, a contravention of the Regulations was established. “Consistent with the Commission’s enforcement process, MTN was by a letter dated October 5, 2015, given notice to state why it should not be sanctioned in line with the Regulations for failure to deactivate improperly registered SIM Cards that were found to be active at the time of enforcement team’s visit of September 15, 2015. “On October 19, 2015, the Commission received and reviewed MTN’s response and found no convincing evidence why it should not be sanctioned for the established violations. African Examiner gathered that the deadline for the fine which expired on Monday was thus extended to Friday to enable all parties to conclude their consultations.